The site includes general information about bog oak and bog wood as well as displaying much of our work, both smaller gift items and larger commission work. 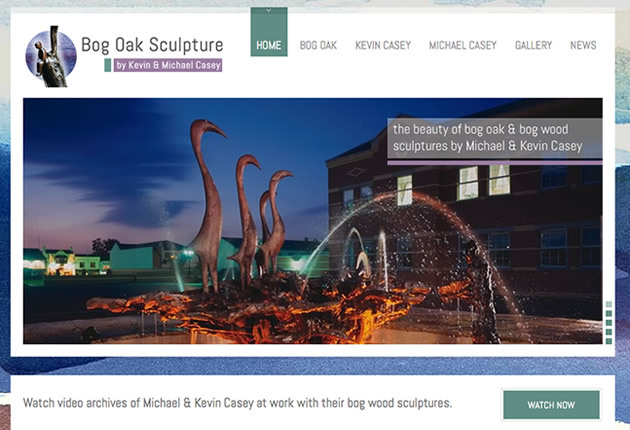 Archive video with give you a good understanding of the way we work and we will keep you up to date with regular blog posts showing what we are up to in the world of Casey’s Sculptures. Our gift gallery shows those bog wood sculptures that make wonderful gifts and these can all be purchased over the phone. We hope that you enjoy viewing our new website and we look forward to hearing from you.